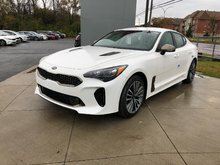 Finance from as low as $134 + taxes / week at 2.99%. Term of 84 months. 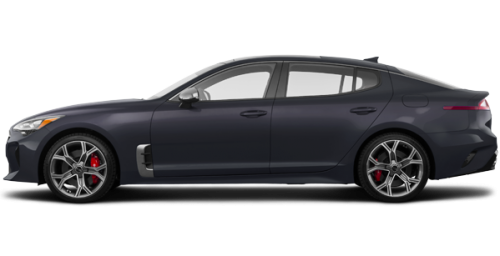 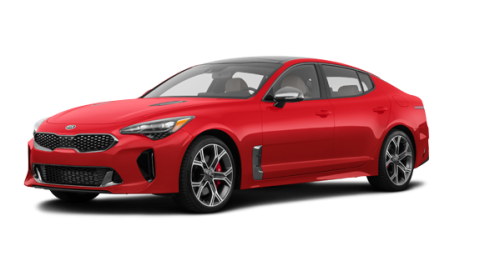 With a roofline that extends behind the rear pillar, giving it a fastback profile, the 2018 Kia Stinger sedan for sale in Montreal at Spinelli Kia, the Kia dealership of the West Island, is powerful, comfortable and luxurious without compromise. 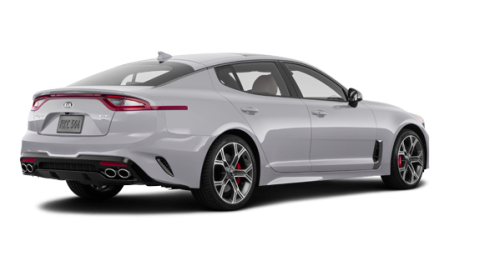 The new Stinger close to Laval and Vaudreuil is fitted with integrated dual exhaust which conveys the car’s power. 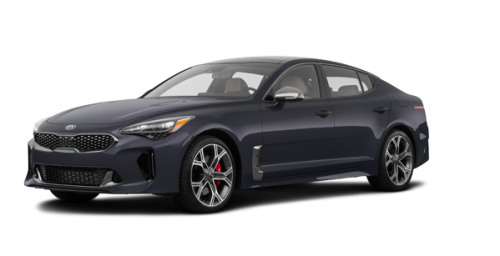 As soon as you start the vehicle and step on the accelerator, you wake up the sophisticated beast that lies under the hood. The 3.3-litre twin-turbo V6 engine with a thrust of 365 horsepower and a torque of 376 lb-ft comes alive and roars. 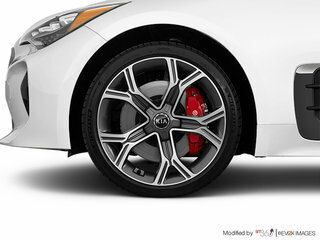 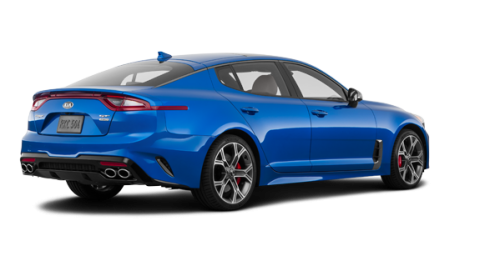 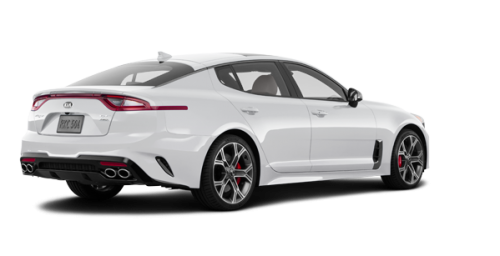 Every GT model of the 2018 Kia Stinger for sale in Montreal, close to Dorval and Vaudreuil, comes standard with an intelligent all-wheel drive system which uses Torque Vectoring Control to adjust the power output to specific wheels. 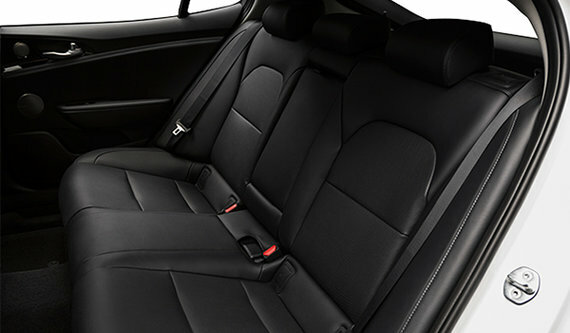 The electronically adjustable suspension adapts based on your favorite drive mode (Sport, Comfort, Smart, Eco or Custom). You can reserve a test drive of a 2018 Kia Stinger for sale in Montreal, at Spinelli Kia, in the West Island close to Dorval and Vaudreuil. 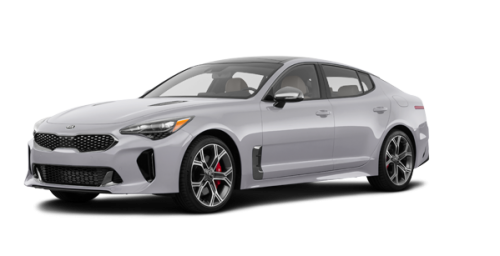 By leasing or purchasing your Stinger at the Spinelli Kia dealership, you enjoy all the benefits of Kia financing programs as well as the discounts offered by Kia promotions. 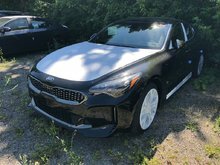 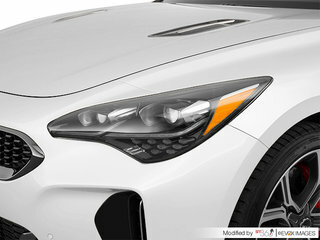 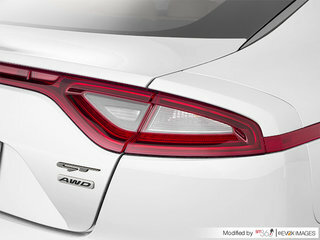 The 2018 Kia Stinger for sale in Montreal, close to Vaudreuil and Dorval, offers the optional Autonomous Emergency Braking system, the Heads-Up Display and the 360° Camera Monitoring System which gives a real-time bird's-eye view of your Kia Stinger and its surroundings to make parking and manoeuvring quick and easy. 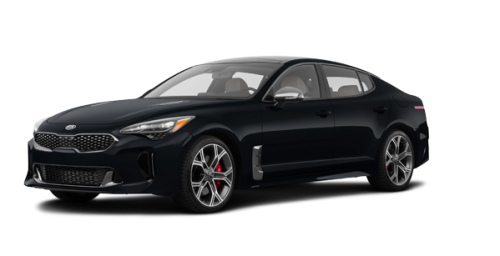 Equipped with Apple CarPlay and Android Auto, the 2018 Kia Stinger for sale in Montreal offers the optional Harman Kardon premium audio system of 720 watts with 15 speakers, including under-seat subwoofers. The fastback design of the trunk of the new Stinger close to Dorval, in the West Island, offers a power rear hatch that will open hands-free on the cargo space of 650 litres when the rear seats are up and 1,158 litres when they are folded down. 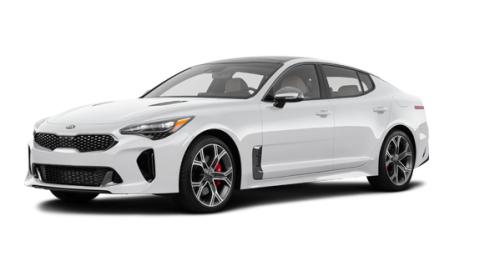 Thanks to UVO Intelligence, you can remotely start your 2018 Kia Stinger and adjust the temperature from your smart phone. 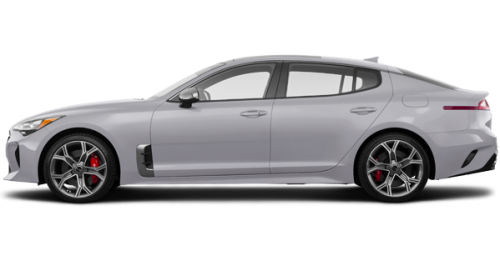 The UVO also enables you to see monthly vehicle health reports of your 2018 Kia Stinger. In addition to the new Stinger close to Laval and Dorval proposed by Spinelli Kia, you will also find a great number of superb used Stinger models.